CRISTIANO RONALDO is on the brink of leaving Real Madrid for Juventus but Florentino Perez is hoping for one more favour. Cristiano Ronaldo looks set to become Juve’s club-record signing after they lodged an £88m bid. 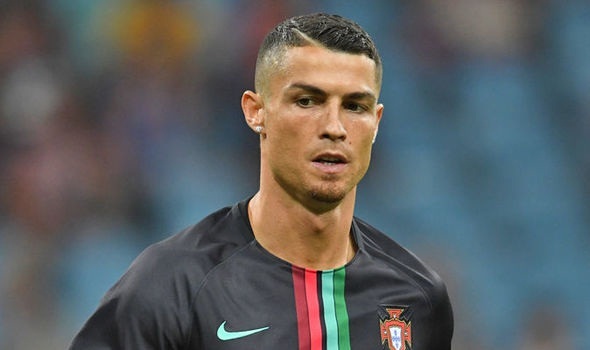 Real Madrid are weighing up the offer but widespread reports suggest Ronaldo’s nine-year stay with the club is set to come to an end. And with Madrid president Florentino Perez accepting of the fact his star man is set to leave, he wants Ronaldo to depart in a dignified way. Italian newspaper Tuttosport claims Perez wants Ronaldo to hold a farewell press conference, confirming his departure. Madrid did the same thing for Zinedine Zidane just over a month ago when he announced his shock resignation just days after winning the Champions League. 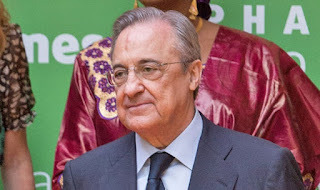 They say Perez’s primary concern at this moment in time is how the fans will react to Ronaldo’s departure. With the club yet to agree any deal for his potential replacement, supporters will be concerned as to how they are expected to challenge Barcelona for the title next season without a marquee signing filling his boots. With Perez wanting Ronaldo to go public with his request to leave the club, the 33-year-old is said to be coming round to the idea of making his intentions clear for all to see. Ronaldo feels a farewell press conference would speed up his impending transfer to Turin. Meanwhile, Juventus legend Gianluigi Buffon, who joined Paris Saint-Germain last week, has backed Ronaldo to become a hit in Serie A. “If anything bothers me it’s the goals he scored against me last year,” Buffon said. “If this transfer were to materialise, I’d be happy for the club and the fans. “It would make me happy because that’s what the Juventus world needs, to find new players and hail them. “Juventus-PSG in the Champions League final? That would be too much!"